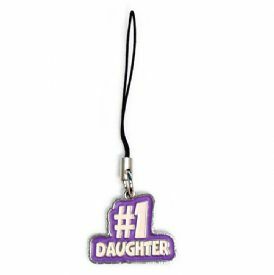 "#1 Daughter" printed on it. These fashion charms are all the same. cell phone, back pack, zipper or purse. Each charm comes on a header card in a poly bag.